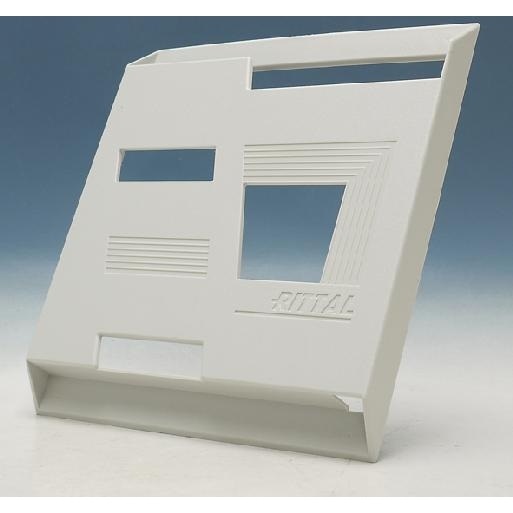 Rittal Wiring plan pocket, plastic DINa4 Vertical | DamenCNC B.V. Normally used inside electronic cabinets, for mounting documentation. The part has self-adhesive strips attached to it already. So can be easily mounted to most surfaces. Material: Polystyrene with self-adhesive fastening strips.